One of Trump’s earliest and most aggressive champions, the far-right Breitbart website, has accused the deep state of leaking information about Trump to The New York Times and The Washington Post; Donald Trump Jr. has described the deep state as “real, illegal and a threat to national security,” while the president himself retweeted a monologue by Fox News host Sean Hannity calling for action against deep state saboteurs of the administration’s agenda. Trump swept to power in November pledging to “drain the swamp” in Washington, D.C., and his relationship with America’s federal bureaucracy has been fractious. Especially difficult has been his relationship with intelligence agencies, which claim Russia interfered in the 2016 election in a bid to help secure Trump’s election. 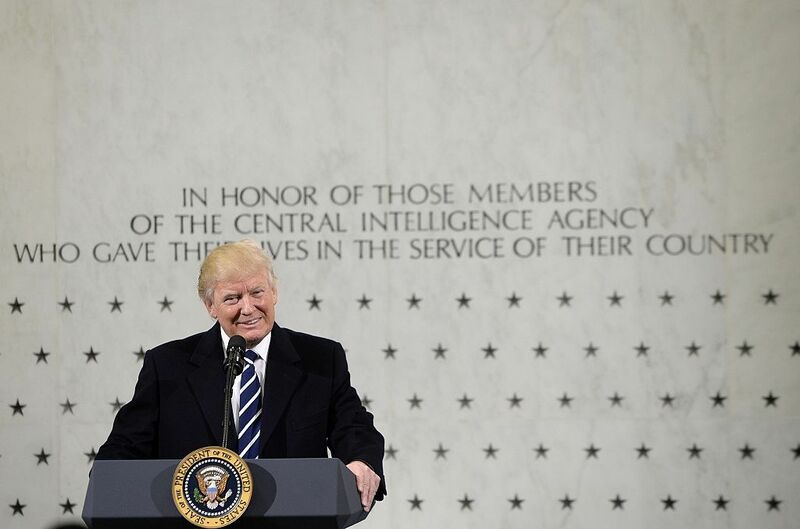 The president has in turn blamed a drip feed of damaging leaks on intelligence agencies. Networks of civil servants, retired generals and organized crime bosses have been accused of operating to uphold Turkey’s secular state throughout its modern history, with the military launching a failed coup against President Recep Tayyip Erdogan in 2016. In Egypt, the military ousted elected Islamist President Mohammad Morsi in a 2014, with former general Abdel Fattah el-Sisi installed in his place. The concept of a shadowy government elite manipulating events behind the scenes has a long history in the U.S. among both left- and right-wing conspiracy theorists, even if the use of the term deep state is more recent. He pointed to the 1991 conspiracy thriller JFK by left-wing director Oliver Stone, which depicts a cabal of shadowy officials as the puppet masters behind President Kennedy’s 1963 assassination. “Oliver Stone doesn’t call it the deep state, but the concept is clear,” Uscinski remarked. Indeed for decades academic Peter Dale Scott has been writing books that claim to expose America’s deep state, with his 1993 book Deep Politics and the Death of JFK praised by Stone. The idea of a conspiring elite at the heart of the U.S. government has grown in popularity on the right. For years, websites including Breitbart and Alex Jones’s Infowars have alleged a conspiracy by a deep state political elite determined to disenfranchise ordinary Americans. Trump courted this conspiratorial right-wing fringe on his road to the White House. He infamously propagated the “birther” theory about former president Barack Obama while preparing for his presidential bid, and appointed Breitbart CEO Bannon as his chief strategist once he achieved power. During his presidential campaign, then reality-TV star Trump propelled to the limelight concepts previously relegated to conspiracy forums in the darkest corners of the internet, Musgrave told Newsweek. “Trump’s governing style has tended to rely more on public expositions of conspiracy theory than presidents in this or the last century have done by a country mile,” Musgave added. Veterans of previous administrations have been alarmed at the use of the term by Trump and his defenders. But the concept of a deep state is regarded as credible by most Americans, with 48 percent of Americans believing in its existence, according to an April ABC/Washington Post poll. 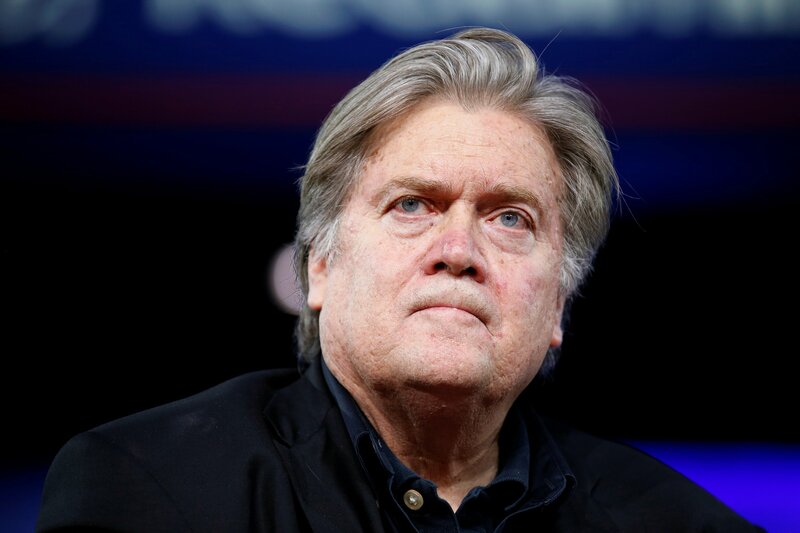 Bannon defined the administration’s key aim as the “deconstruction” of the administrative state at February’s Conservative Political Action Conference. And given this hostility, some kickback against the White House from bureaucrats is to be expected, argued Uscinski. This hostility could fuel White House suspicions that there is a deep state conspiracy at work. “Does that mean they are setting up FEMA death camps and are mounting some sort of coup against him? No. but it is reasonable to suggest he is going to have resistance. What conspiracy theorists do is take that reasonable idea and run with it,” he said. Musgrave expressed doubt about whether Trump genuinely believes in the conspiracy. “I don’t think Trump actually takes this seriously. It is a convenient crutch for him. In fact, the biggest problem seems to be a lack of engagement with the bureaucracy,” he said. Corey Lewandowski: Jim Comey Is "The Deep State"
Is the ‘Deep State’ Moving Against Trump?